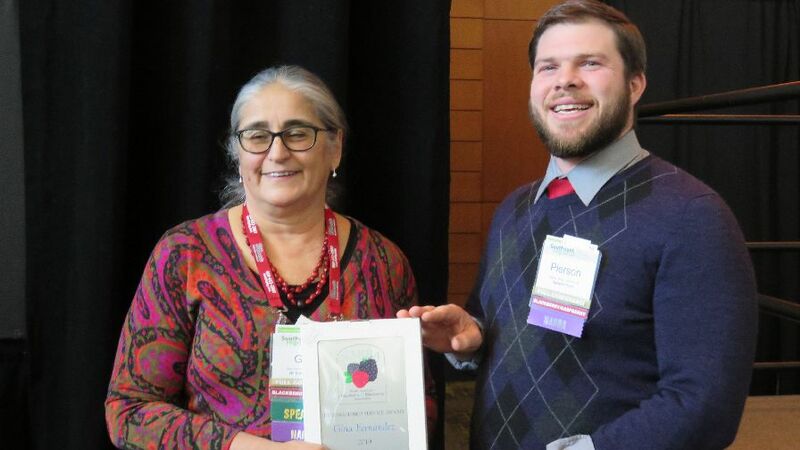 At the 2019 North American Raspberry & Blackberry Conference, held last month in Savannah, GA, the North American Raspberry Association (NARBA) gave its 2019 Distinguished Service Award to Dr. Gina Fernandez, Small Fruits Extension Specialist at North Carolina State University. 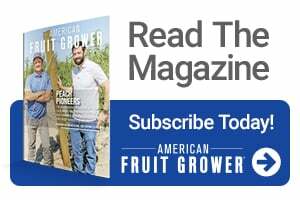 Dr. Fernandez was the Coordinator of NARBA’s North America Bramble Growers Research Foundation from 1999 to 2016, sending out the requests for proposals, gathering proposals, and leading the review process. In 2016, she turned her responsibilities over to co-coordinators Patrick Byers, University of Missouri, and Jeff Chandler, NC State University. 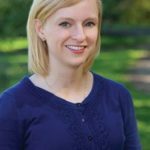 She has helped plan the program for multiple NARBA annual conferences, including this most recent one, as well as the blackberry/raspberry programs that NARBA has coordinated at the Southeast Regional Fruit & Vegetable Conference Savannah since 2006. She has been a speaker at most, if not all, of these Southeastern meetings, as well as many of NARBA conferences in other regions. This year, she is giving several presentations and helped lead a Fundamentals of Caneberry Production workshop. Dr. Fernandez was convener for the International Society of Horticultural Science’s Eleventh International Rubus and Ribes Symposium, held in western North Carolina in 2015. This was an enormous effort over two years that brought in scientists from around the world and particularly showed them the rapidly expanding Southeastern blackberry industry which she has helped to build. A professor at NC State University since 1996, Dr. Fernandez is currently the NC State breeder and extension specialist for both caneberries and strawberries. Building off the caneberry work at NCSU by now-retired Dr. Jim Ballington, she has released two caneberry varieties: the blackberry ‘Von’ and red raspberry ‘Nantahala.’ Her “TeamRubus” blog is widely read, and growers in Virginia, Georgia and other states besides North Carolina also turn to her for Extension advice.